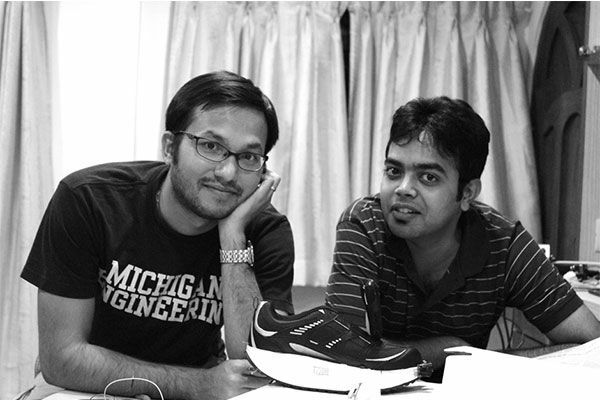 Ducere Technologies, founded by two Indian techies announced the launch of LECHAL (pronounced lay-ch-al, meaning “take me there” in Hindi) claimed to be the world’s first interactive footwear with haptic feedback. Lechal is the first of many fashion segments that the company hopes to tap into, but at the same time the product has its roots in a socially beneficial noble cause. Lechal started as a project with a social aspect, which was to create an aid for the visually impaired and each pair sold will result in a subsidised pair for blind people. In the press conference held at Mumbai today, one of the founders, CEO Krispian Lawrence unveiled two products, the first being the Lechal insole which can be slipped into any footwear to make it interactive and the latter being a Lechal shoe with the same technology incorporated in it. We’ll look into the details of the two products below. Launching of the 7th of March 2014, the insole has all the electronics located at the heel, all of which has been fitted into a small module which can be easily removed. Each module has a weight threshold of 500kgs. The remaining portion of the insole can be replaced as and when they get worn out. They hope to keep the price of the insole below $100 while the replaceable portion can be obtained for Rs.500 , however, the final price would be unveiled on the launch date. 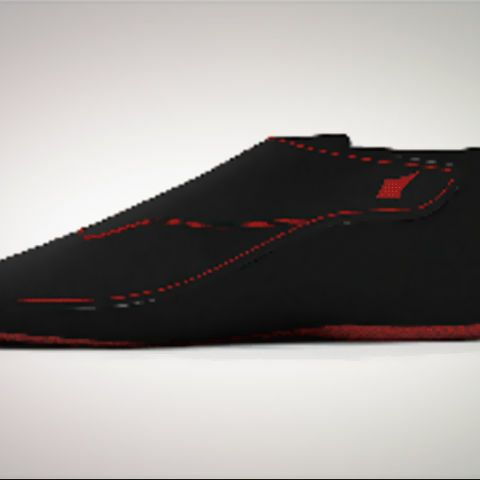 The shoe will be launched in two colours – red and black. The pricing of the shoes wasn’t disclosed. The shoe has a flap near the rear cuff where the battery is slid in. The haptic feedback module might be located in the heel of the shoe. Each module comes with a rechargeable battery that has reversible contacts. The charger has an inbuilt clapper which when activated beeps in a certain pattern to indicate the level of charge. The app would appear to be at the core of the product line. The user can interact via voice commands and in order to keep it simple, most of the operations can be performed using the volume keys on your smartphone. The app will be out for all major platforms but the release date for the same was not revealed. From what we could gather the app has the following features. The prototype first made the headlines back in mid 2011 when the primary focus was towards developing an aid for the visually disabled. The prototype was developed on Arduino but they later migrated to using an AVR. When inquired if the API for the app would be released, Krispian mentioned that they would be release the API after further development but there would be restrictions placed on the developers. For each shoe that is purchased the company will subsidise one pair for the visually impaired and the prototype models are being tested out at the L.V. Prasad Eye Institute, Hyderabad where inputs from the visually impaired are being used towards further development. Ducere technology was founded by Krispian Lawrence and Anirudh Sharma and is based in Hyderabad, Andhra Pradesh. The primary focus of the company is towards fashion with technology being a byproduct of their tinkering.